With your bees duly installed in their new beehive, you can call yourself a beekeeper! 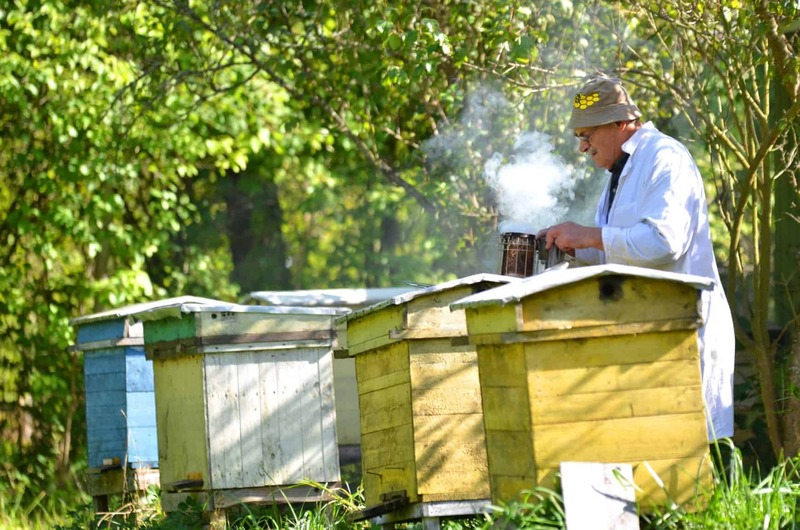 A new, freshly-minted, inexperienced green-behind-the-ears beekeeper – but a beekeeper nonetheless. 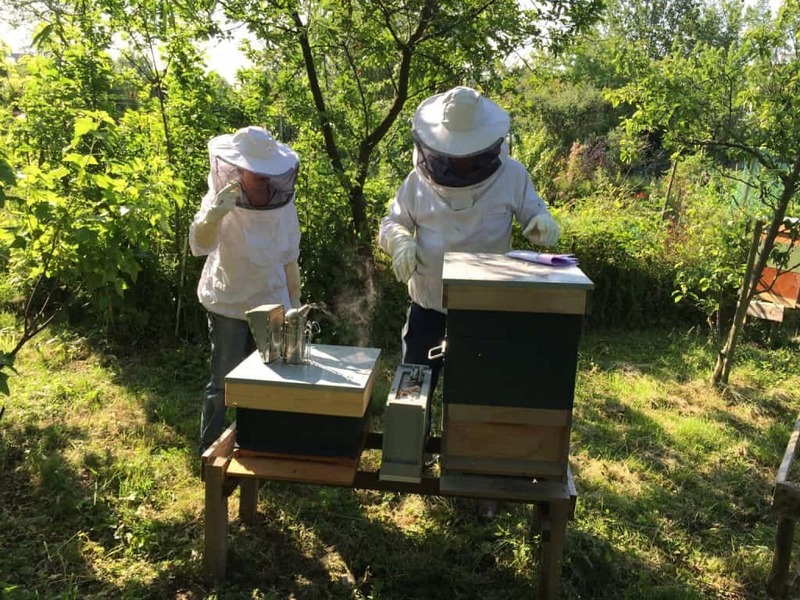 As we have said before, no matter how much you have studied and read about beekeeping and spoken to other beekeepers, it isn’t until you have your own bees that you start the real learning. And that learning never really stops. 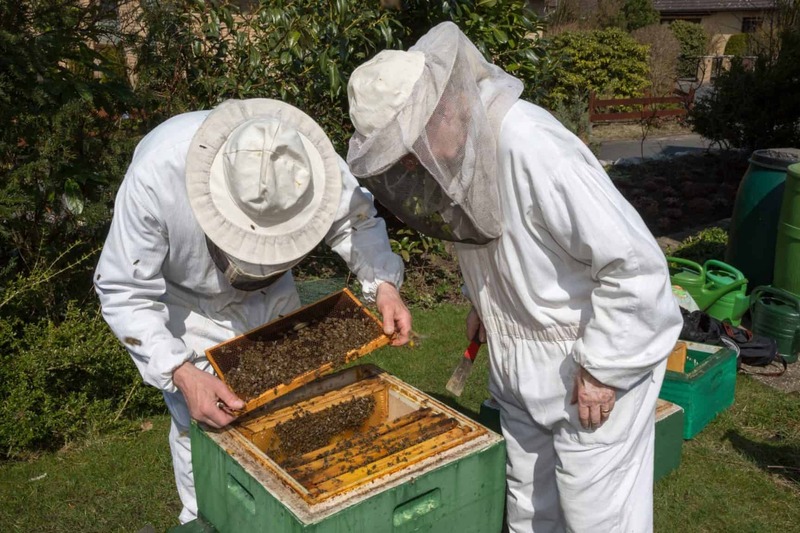 Beekeeping is a multi-faceted hobby and one with the capacity to fascinate, surprise and – yes – disappoint, at any time. In addition, you will soon learn that there really are very few rules of beekeeping to which everyone subscribes. For each apparent “rule”, you will find someone with a valid, well-considered but paradoxical viewpoint. So if you are looking for a highly prescriptive hobby, with well-trodden paths to success, then beekeeping is probably not a great choice. If you are looking for something that will challenge you and interest you for years to come, it could be right up your alley! All that said, as you start out there are a few things you should consider as either “ground rules” or at least common sense ideas to consider. Let’s take a look at some of these. One beehive seems like quite enough initially, right? Well, yes, a first hive will involve a little effort and some expense. But there are major benefits to installing at least a second beehive. In fact, PerfectBee strongly recommends at least two beehives from the outset. Contrast and compare. 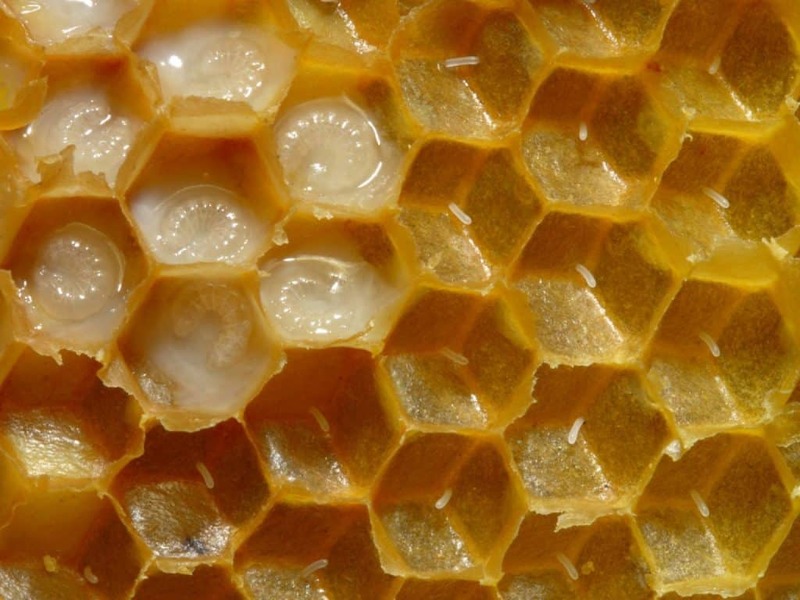 All beekeepers – new or experienced – see differences between hives. Even hives right next to each other, managed in the same way and with bees from the same stock can respond quite differently. As a new beekeeper, a single beehive gives you no comparison point. Is the queen a good egg-layer? What is the amount of honey needed to get through the winter? As a new beekeeper you have no idea. But if you have two or more hives, you can observe differences and learn a great deal from them. Emergencies. Let’s say one of your hives loses its queen, for whatever reason. If you have one hive – well, that’s the end of the game! But if you have two, you have an option. Take a frame from the other hive that has 1-3 day old eggs and place it in the queenless hive. The colony will likely raise a new queen! Balancing hives. Another example is where you have one hive that is weaker than the other. You can take bees from the stronger hive and balance them, potentially saving the weaker of the two. It is true that there is some additional expense. But much of the expense you incur for your first hive is relevant to the second and third and fourth and so on. You only need one hive tool, one smoker and so on. Adding a hive is not as expensive as it might seem when you already have the equipment you need. The benefits of that second hive, though, are significant. Like any pastime or hobby, there is real value in tracking what you do. Indeed, since your bees are a variable not directly in your control, keeping records can be essential if any of your hives get into trouble. Careful tracking of everything that happens in your beehives can be an invaluable resource later. We will admit to being a little repetitive, but please do consider wearing protective clothing every time you visit your beehive. At the very least, keep the head protection. As a new beekeeper, you are probably already very inclined to suit up anyway and need little encouragement from us. Over time, though, you will become more comfortable with your bees. Perhaps you did take a sting or two and, while it itched and was irritating for a couple of days, it wasn’t as frightful as you first imagined. When you reach this point, your guard may come down (literally). 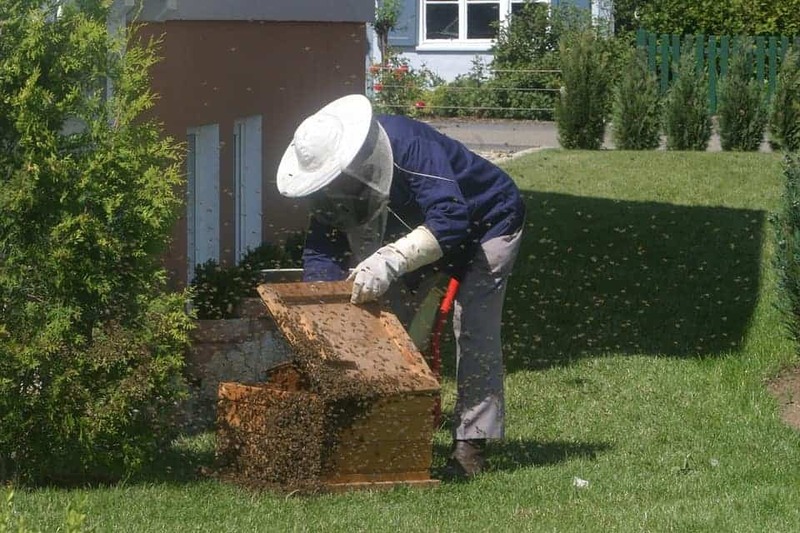 You have no doubt already seen plenty of beekeeping videos with unprotected beekeepers around their bees, without an apparent care in the world. Only you can decide where that line will be and the degree to which you go down the unprotected path. But we will reiterate that as a new beekeeper you have a lot to learn. Now is the time to focus on learning beekeeping and, for that reason, we strongly suggest you wear protective clothing from the outset. A prime reason to wear protective clothing, initially at least, is that it helps you relax around your bees. That is an essential point, beyond whether or not you get stung. When you carry out an inspection you are invading the home of tens of thousands of very busy bees, most of which are very protective of their brood and resources like honey (we say “most” because drones don’t contribute much beyond that mating thing – after which they don’t return to the hive anyway – and perhaps to help cool the hive). So how do you think they will react to their home being temporarily deconstructed, individual parts being lifted out and some huge giant looming overhead? Well, better than you might think! While there are many variables, our bees are remarkably tolerant of our inspections. Assuming a docile race of bees, a good time of day and other accommodating factors, your inspections will often be calm, almost meditative affairs. But there is one important element that helps enormously – your demeanor. Stay calm, move slowly and your bees will likely do the same. As a general guideline, you will probably want to use a smoker for each inspection. It does have a calming effect on your bees and an occasional waft of smoke can help both your bees and you. However, as you become more comfortable around your bees, you may find that it is not always necessary. There will be times when your bees are docile and show no need for a smoker to be applied. As a new beekeeper, it’s a safe and common sense approach to use the smoker each time. There really isn’t too much that can go wrong with the use of smoke, providing it isn’t overused (new beekeepers have a tendency to do just that, by the way). Be open to the idea that for your particular bees, in your particular location and your particular beehive, smoke may not always be necessary. Learn from your bees and decide for yourself whether you need to use the smoker. This is a whole separate topic but we want to plant a seed in your mind about how to get the most value from each inspection. In short, consider each inspection to be about gathering evidence. One of the amazing things about beekeeping is how close we get to nature. It is a very hands-on way to understand one of nature’s most amazing creatures and their involvement in a society that is truly breathtaking. We get to see that, close up and in detail. It is a beautiful thing. And yet there is also a lot about beekeeping based on gathering evidence, rather than viewing direct results. Consider the search for the queen. You will be tempted to search for her during most inspections. There is, indeed, peace of mind in seeing such an important member of the colony moving around a frame. But get used to the fact that you may not find her every time. When you don’t see her that’s fine. But if you see eggs and larvae then you can do the math and figure when she was last there! For example, if you see eggs you know the queen was at those very cells within the last few days. This is just one example and a common one. It boils down to your willing participation in an ongoing mystery – one with plenty of clues, even when the direct evidence is not visible. Nurture this philosophy of assessing and interpreting what you see every time you look inside your hive. A “detective mindset” is a valuable skill for the beekeeper. As soon as you install your first bees, place the top cover and and walk away happy with a job well done, you will have one thought on your mind. You haven’t got this far without a deep fascination for all-things bee! And you just set up a completely new hive with new bees. You CANNOT WAIT to see their progress. Resist that urge. This is a time when your bees need time to build their home. If you went with a package of bees there’s also a vital introduction to be done, as the bees work through the “time delay” candy in the queen cage. This is an essential time and, as a beekeeper, it makes no sense to disturb your bees just for the sake of “having a peek”. After installing your bees, consider giving your bees at least five days before you look inside. Millions of years of evolution have told them what to do and they will be working together very well. What you can do, though, is watch from the outside. Grab a deckchair and position yourself near enough to see the events around the hive (sit to the side and not in front). This can be maybe 4 feet away – if you are calm the bees will be very happy to ignore you! These are valuable days to learn. Take note of when your bees emerge each morning. Track when the sun strikes the hive each day and how this corresponds to activity by your bees. As shadows come and go through the day, watch how they affect activity. All these things can be done without laying a hand on the beehive! Just watch, track, record – and enjoy. OK, that’s an exaggeration. As the summer turns to fall and fall to winter, you will care about how much honey your bees have stored. But it’s not for you! In the first year, consider the honey your bees produce to be all for them. Sure, a little taste here and there won’t hurt anything but you certainly don’t want to be thinking “honey yield” in the first year. 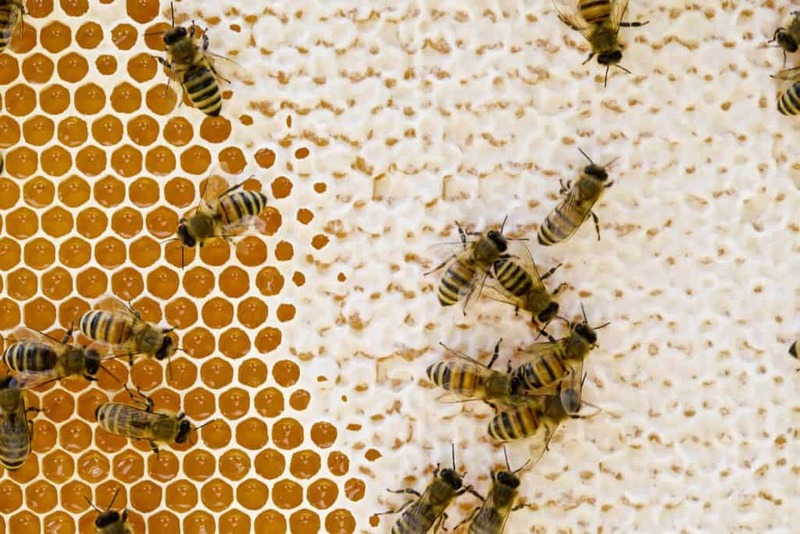 The honey your bees produce in their first year is their lifeline to their second year. The winter will be a tremendous challenge for a first-year colony and they need all the help they can get. You do not want to risk the longevity of your colony merely for a taste of honey. Value your bees more than the honey and they have every chance of rewarding you in their second year. Finding your lessons helpful as I move forward to becoming a first year bee keeper. Keeping records is important do you have an example of the records you keep? I am thinking something organized instead of just writing random observations in a notebook. I purchased 2 nucs last spring. One did extremely well the other did very poor. Both our hives died last year. We have honey in a number of the frames. We are getting two new sets of bees. In the first bee boxes do we put in as much honey as we have or do we leave some frames for them to build new comb in?